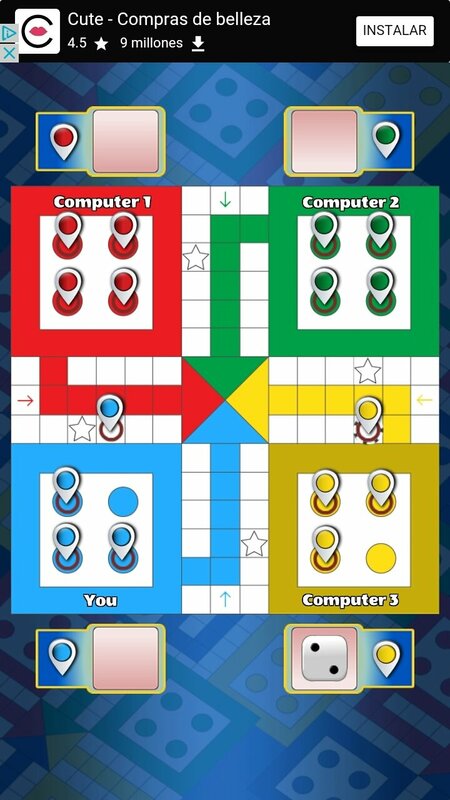 Ludo is a game very similar to what is known in certain countries as Parcheesi o Pachisi. 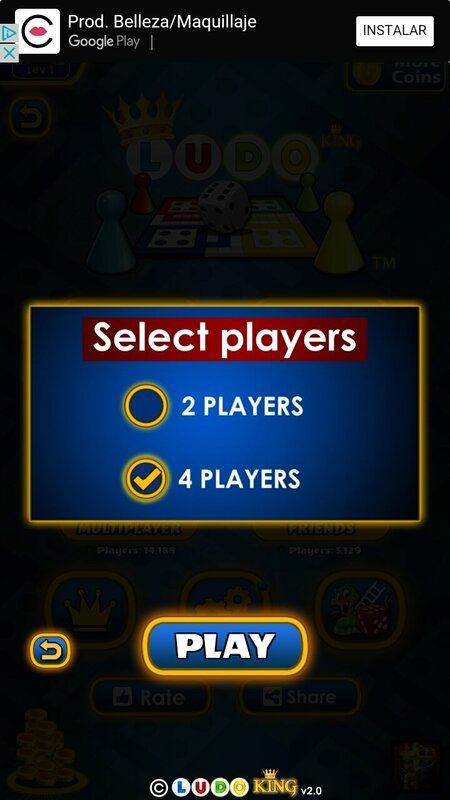 Therefore, Ludo King is a version for Android smartphones and tablets with online multiplayer functions. First of all, how do I play ludo? As you probably know, this game is played with one or two dice and the goal is to take all your four counters to the center of the board. Each player takes turns to throw, number 6 allows you to start and also throw again; but if you get this number 8 consecutive times you'll miss a turn. And just like in the original game, if a player lands on a square occupied by a rival counter he will send him back home. 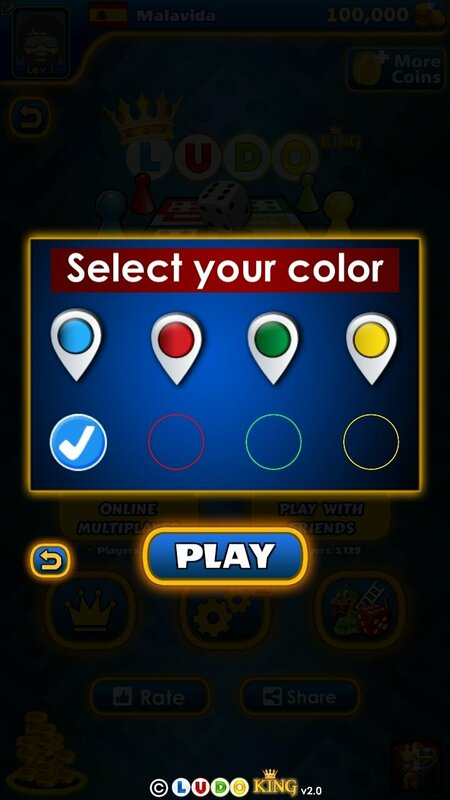 The Android version of the popular board game. 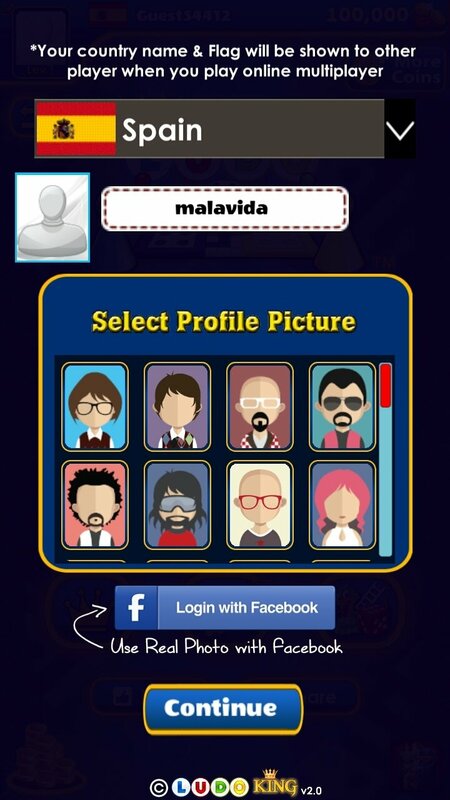 Well, downloading the APK of this game will allow you to play against 2 or 4 rivals that can be your friends on the same device, against other rivals using WiFi or Bluetooth, against the machine's AI or against any other player in the world thanks to its online multiplayer functions. The good thing about playing against others is that their strategy will always be unpredictable, at least until you get to know them. 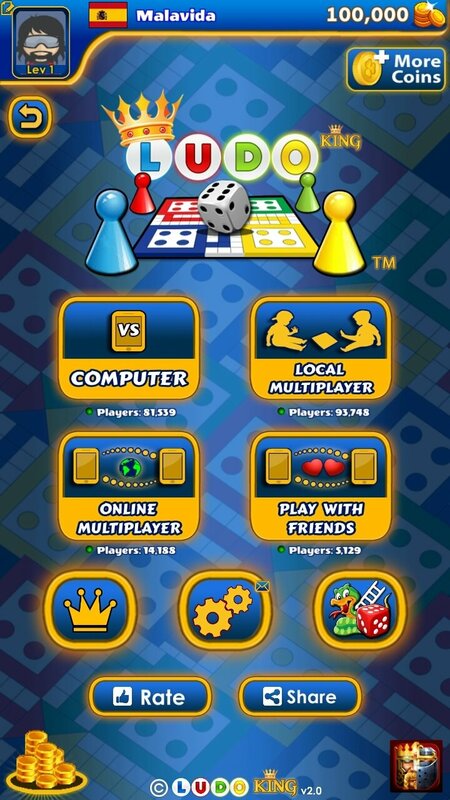 The game is multiplatform, and as well as for Android, it's also available for Windows and iOS, so you can play on your iPhone and iPad.